There’s a pool on Flickr dedicated to signs featuring Reddy. 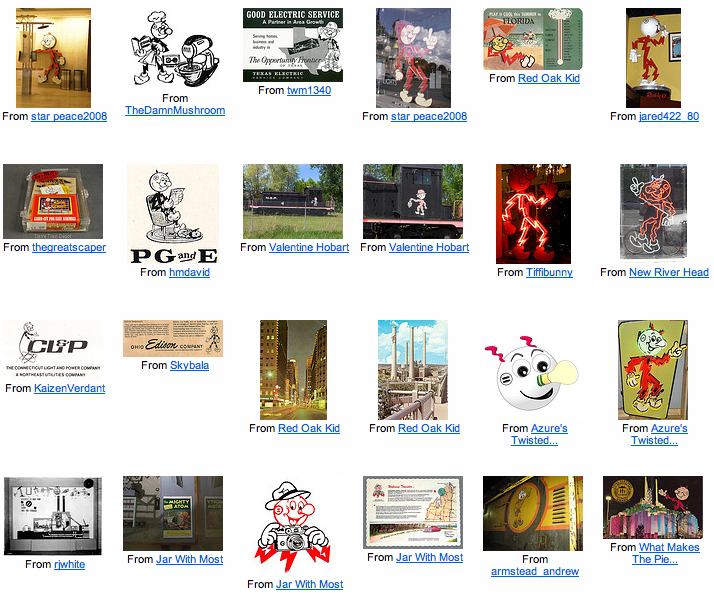 As of August 2009 there are 160 photos posted. I have a 1955 Chevrolet Delivery 1/25 Scale Bank Die Cast Metal with Ready Kilowatt on the side of the Delaware Power & Electric advertisement.